The Philharmonic Hall is one of Liverpool’s premier arts and entertainment venues. It is best known for the classical music concerts given by the resident Royal Liverpool Philharmonic Orchestra, but also hosts a packed programme of concerts by internationally acclaimed artists, comedy shows, and other events. Classic and blockbuster films are also screened on the hall’s Walturdaw cinema screen. It rises from the stage to music performed by the venue’s resident organist. 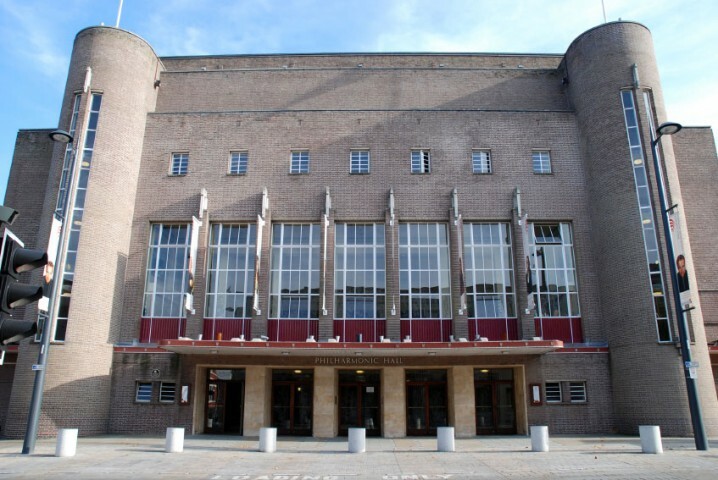 A selection of upcoming shows and events at Liverpool Philharmonic Hall are listed below. Tickets can be purchased here. More events may be listed on the official Liverpool Philharmonic Hall website (see the information section at the end of this page). Tickets for all shows and events can also be purchased online at the official Philharmonic Hall website (see information box at the end of this page), or by telephoning the box office on 0151 709 3789. They can also be purchased in person from the box office. A detailed seating plan is available on the official website. The Philharmonic Hall is situated on Hope Street, roughly halfway between Liverpool Cathedral and the Liverpool Metropolitan Cathedral. Drivers with satellite navigation systems can use the postcode L1 9BP. The closest mainline train station is Liverpool Lime Street, around ½ mile from the venue. The Hope Street Hotel is a boutique hotel with 89 individually designed rooms. It’s situated just across the road from the Philharmonic Hall. The Philharmonic Dining Rooms, at the corner of Hope Street and Hardman Street, is a pub known for its ornate interior, particularly the mosaics and tiles in the gent’s toilets. The Grade II listed building is widely regarded as one of the most beautiful pubs in the UK. Other bars and restaurants close to the Philharmonic Hall include the London Carriage Works (at the Hope Street Hotel), Hannah’s Bar, Bistro Jacques, and Ego. O2 Academy Liverpool (0.6 miles) - Live music venue in Liverpool city centre. Liverpool Central (0.4 miles) - Merseyrail station on both the Northern Line and Wirral Line. Liverpool Lime Street (0.5 miles) - Train station in Liverpool city centre. 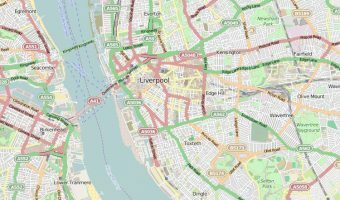 Map showing location of Liverpool Philharmonic Hall.